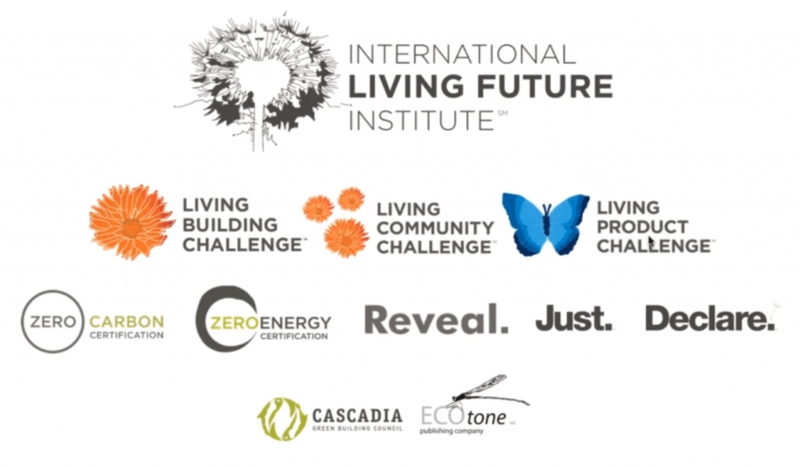 In this article and video, learn about the International Living Future Institute and their sustainability programs including the Living Building Challenge, Living Product Challenge, and Declare labels. Living Building Challenge – is a green building certification program that sets the bar for a truly sustainable building. 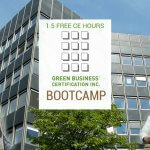 Living Building Certification is more stringent than LEED and even guides buildings to net-positive energy and water. The Living Building Challenge (LBC) was launched by the Cascadia Green Building Council in 2006. LBC uses the metaphor of a flower because although flowers are rooted in one place, they harvest all the energy and water they need, they adapt to climate and site changes, they operate pollution free, are comprised of integrated systems, and are beautiful. Buildings seeking LBC certification can earn one or more “Petals”. There are 7 Petals: Materials, Site, Water, Energy, Health, Equity, and Beauty. 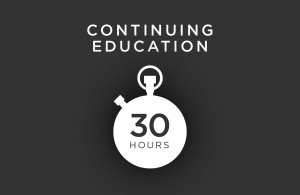 To learn more about the Living Building Challenge, click here. The basic requirement of a Declare label is for manufacturers to list at least 99% of all intentionally added ingredients. For a list of building materials with the Declare label, click here. 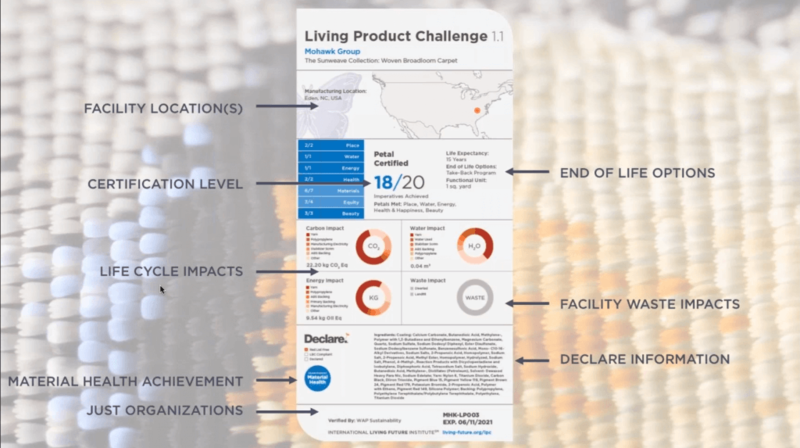 Living Product Challenge 2.0 – is very similar to the Living Building Challenge because the Living Product Challenge is also comprised of 7 Petals: Place, Water, Energy, Health + Happiness, Materials, Equity, and Beauty. The main difference is that the Living Product Challenge is better suited for manufacturers than buildings. The backbone of the LPC looks at both the Material Health of building materials, but also, it looks at the Life Cycle Assessment (LCA) of building materials to achieve net positive water, net positive energy, and other positive impacts. Both the LPC and LBC use the analogy of a “handprint”. “Handprinting” being the opposite side of the spectrum of a “footprint”. In this analogy, footprints are essentially the resources and energy that you use or consume (the depletion of limited resources); whereas, handprints are the idea of creating positive change in the world and giving more back that you use or consume. With the concept of handprinting, there is no limit to how much you can give back. To be sustainable, we must first limit our footprint and secondly, make as large of a handprint as we can! 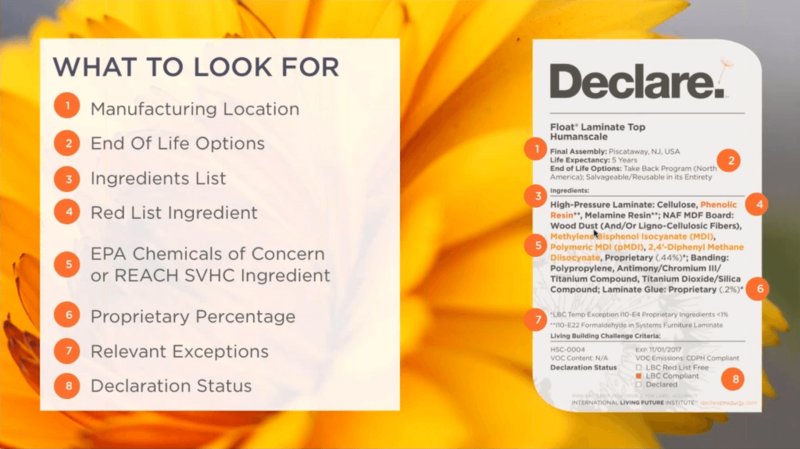 If you make building material selections or just like learning about the future of transparency around building material ingredients, please check out our 1-hour video training about EPDs (Environmental Product Declarations) and HPDs (Health Product Declarations) and how they can help you earn LEED certification by clicking here. Thanks for learning with GBES! For more great free content like this, please check out our blog, or check out our webinar replays.